With a P1 provisional licence you can drive independently, without a qualified supervising driver or driving instructor. But remember, your P-plates must be on, your licence handy, and the road rules and P licence rules must be followed. Driving on your own can test all the skills you learned on your L's without having the safety net of a qualified supervising driver with you. Speeding, driving at night, or when tired or distracted are dangerous mistakes to be avoided. Stay safe. Always wear your seatbelt and stay focused on driving. Provisional licences are issued subject to conditions. If you breach a condition you will lose your licence and be disqualified from driving. This is in addition to any other penalty. You must not drive a motor vehicle with any concentration of alcohol in your blood or the presence of THC (the active component in cannabis), Methylamphetamine (also known as speed, ice or crystal meth) or MDMA (ecstasy) in your blood or oral saliva. You must not exceed any speed limit by 10km/h or more. You must not accumulate four or more demerit points during the provisional licence period. The following laws also apply. If you breach any of these laws you may incur penalties such as fines, demerit points or loss of licence. You can only drive the class of vehicle stated on your licence. You must carry your provisional licence at all times whilst driving. You must not drive a high-powered vehicle while you are under the age of 25 (unless you have an exemption certificate). You must not drive over 100 km/h even if the local speed limit exceeds 100 km/h. You must display the correct size 'P' plates so that they are clearly visible from the front and rear of the vehicle (rear only for motorcycles). You must not use any mobile phone function while driving, including hands-free mode and Bluetooth technology or loud speaker operation. unless a Qualified Supervising Driver is seated next to you or you meet the exemption criteria. Read more about the new rules to protect P-platers introduced on 28 July 2014. If you are disqualified from driving you will need to re-apply for your provisional licence. If you are returning at the P1 stage, you will need to hold your new provisional licence for three years (one year on P1 and two years on P2). If you are returning at the P2 stage you will need to hold it for two years. If your licence is disqualified you may be able to elect to enter into a Safer Driver Agreement instead of serving the six month disqualification period. The Safer Driver Agreement will apply for the duration of your provisional licence. If you breach the Safer Driver Agreement you will be disqualified for twice the period of your original disqualification (12 months). You must sit out the disqualification. 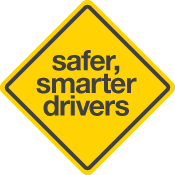 No further Safer Driver Agreements or appeals will be available to you. you have either successfully appealed a disqualification or previously entered into a Safer Driver Agreement within the last five years. Criminal driving offences e.g. causing death by dangerous driving. An offence that incurs four or more demerit points. A second speeding offence that incurs three or more demerit points. A red light offence and a speeding offence from the same incident. Any offence committed by a person previously disqualified from driving. It is a standalone GPS that is secured in a mounting unit that has been commercially designed for the purpose of holding a GPS and is affixed to the vehicle as per the instructions provided by the manufacturer of the mounting unit. If the navigational system does not meet either of these requirements then it cannot be used whilst driving. if you were disqualified and returned to driving on a P1 licence on or after 4 September 2010. Read more on the rules, definitions and exemptions for high powered vehicles. Learner’s permit holders can learn to drive in a High-powered Vehicle because they are required to be supervised by a Qualified Supervising Driver at all times. Also, if you are under 25 and hold a full licence the high powered vehicle restrictions do not apply. The minimum size is shown in the diagram below. P-plates must have the letter P printed in red on a white background. P-plates must be clearly visible from the front and rear of the vehicle (rear only for motor bikes). Other styles of plates are not acceptable in South Australia. Buy your P-plates at Service SA customer service centres, at Service SA's online shop or retail outlets. Penalties apply for not displaying P-plates. passed the Hazard Perception Test. You have entered into a Safer Driver Agreement or won an appeal against a provisional disqualification and have since held your P1 licence for 3 years. Your Hazard Perception Test certificate (given to you when you pass the test). The fees for the licence . you have held a P1 licence for a minimum of twelve months. Provisional licences issued on or after 28 July 2014 must be held for three years instead of two (one year on P1 and two years on a P2 licence). Read more about the new rules to protect P-platers.